I received a number of questions on how to practice phrasing on guitar. Apparently many guitar players find that phrasing is one of the most challenging aspect of the instrument, and I agree! Phrasing in this context refers to HOW things are played on your guitar as opposed to WHAT you play. The elements used in phrasing are things like bends, vibrato, slides, etc. 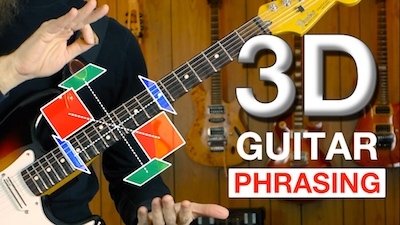 Today we are going to see how to play 3-dimensional guitar phrasing. Now what do I mean with 3-dimensional phrasing? Well, of course I mean 3-dimensional as opposed as 2-dimensional i.e. flat. You definitely do not want your phrasing to sound 2-dimensional like a cardboard cutout! 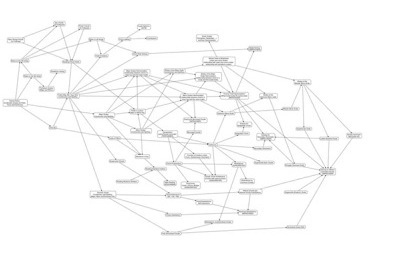 But I ALSO mean 3-dimensional in the technical sense: there are 3 dimensions to phrasing and you want to know how to act in each one of those dimensions to be able to get the best out of it. And if you have any questions about any of this - or ANY musical questions for that matter, just let me know in the comments! And if you need any more help with your lead guitar playing, I warmly suggest the Master of the Modes course that will help you learn and implement scales, modes, arpeggios and the like in your playing. By the end of the course you will know how to play on any chord progression.